It’s more than just steaks and ribs as seafood dishes steal the show. SAVOUR four different grilled salmon dishes served with special sauces at Tony Roma’s in conjunction with its latest promotion. The exterior of Tony Roma’s Fisherman’s Wharf. 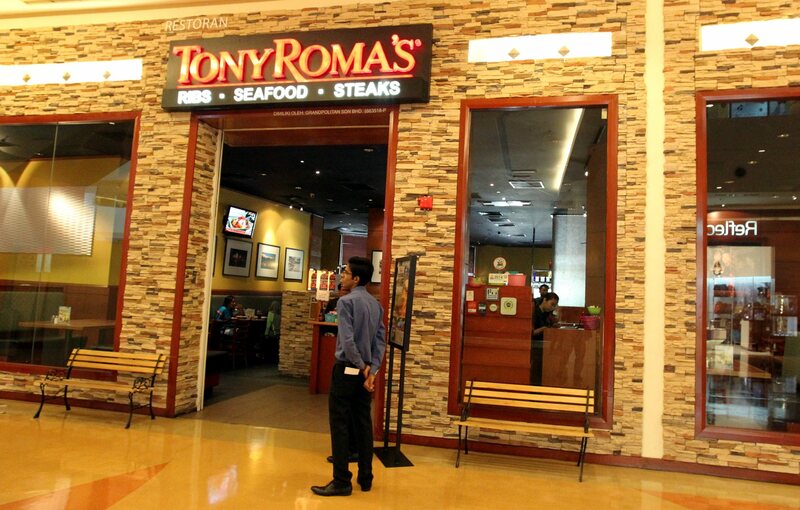 While Tony Roma’s chain of restaurants are known for their ribs and steaks, there are also a range of seafood dishes that make hearty meals. Grandpolitan Sdn Bhd marketing manager Johnny Pan said the Tony’s Fisherman’s Wharf promotion was aimed at introducing customers to the grilled salmon dishes. “Our steaks and lamb ribs are popular. “However, we want to encourage customers to try out our range of seafood dishes as well. “Until mid-Oct, we will be serving guests four types of salmon dishes with rice and broccoli,” he said. My favourite was the Salmon with Walnut Maple Butter (top pic). The Salmon With Shrimp in Lemon Sauce. The flamed grilled salmon fillet served, was a generous-size portion. The sweet gravy with bits of walnut helped balance the taste of the salmon, leaving a plesant harmonious combination of flavours on the palate. The BBQ Rubbed Salmon With Sriracha Butter was on the spicier side. This particular fish marinated with barbeque spice was delectable even without the sauce. Personally, I found the Sriracha Butter sauce slightly greasy but my fellow diners enjoyed the dish a lot. 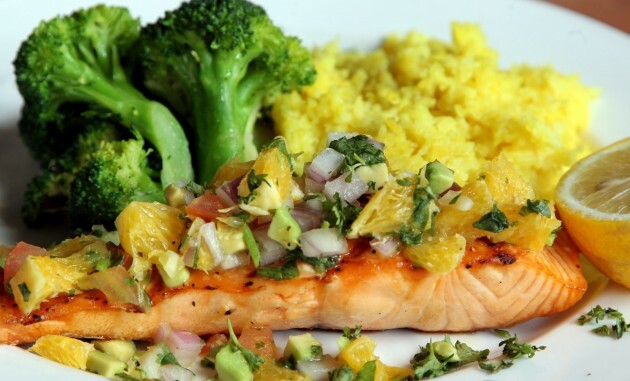 Weight watchers should try the Avocado and Mandarin Orange Salmon. The Avocado and Mandarin Orange Salmon. This dish was paired with a generous spread of lightly seasoned mandarin oranges and diced avocado marinated in grape juice. To enliven the refreshing salad that sat on top of the salmon, Roma tomatoes and red onions are added for colour and freshness, then topped with fresh cilantro adding delightful brightness to the presentation. 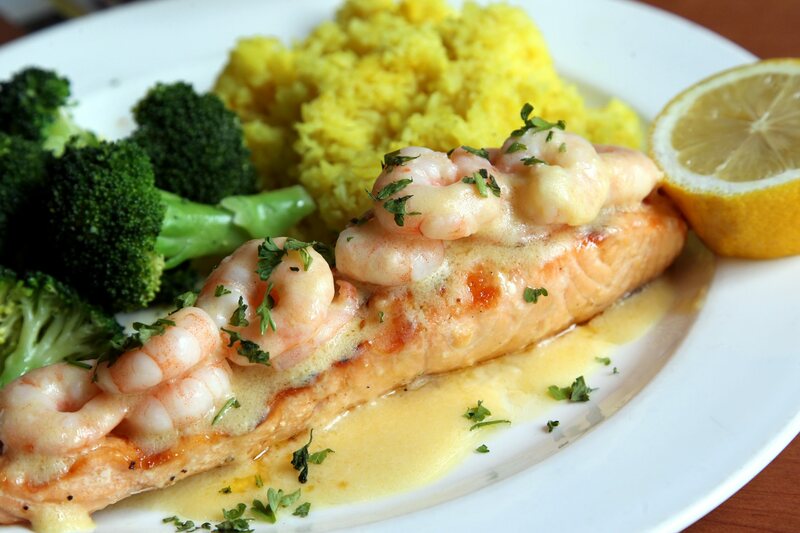 The best seller currently is the Salmon with Shrimp in Lemon Sauce. Although I found the lemon sauce slightly overwhelming for the fish, Pan said it was a dish that was well received by diners. The salmon, garnished with sizeable prawns, is sauteed in homemade lemon sauce. The sauce is then spread over the fish. While the Avocado and Mandarin Orange Salmon is on the existing Tony Roma’s menu, the Salmon with Walnut Maple Butter and BBQ Rubbed Salmon with Sriracha Butter are available during the promotion that runs until Oct 26. 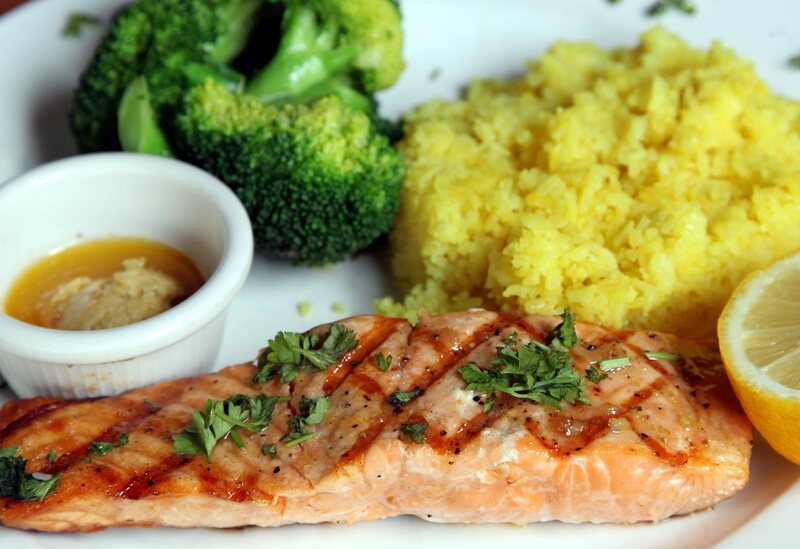 Each salmon dishcomes with broccoli, as well as, rice cooked with turmeric powder and butter. 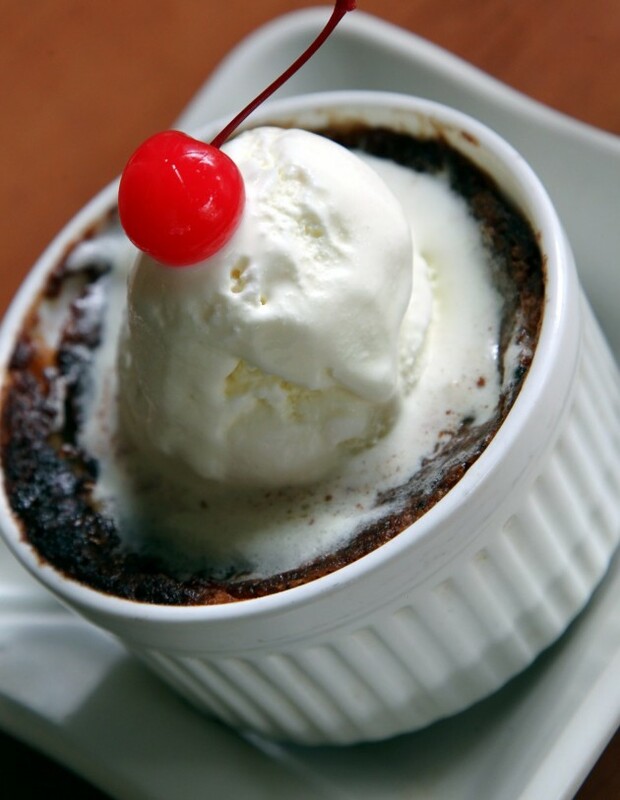 Tony Roma’s Seasonal Cobbler is served with Vanilla Ice Cream. To complete your dining experience here, the Seasonal Cobbler with Vanilla Ice Cream is a good bet. Prices range from RM44.90++ to RM52.90++.